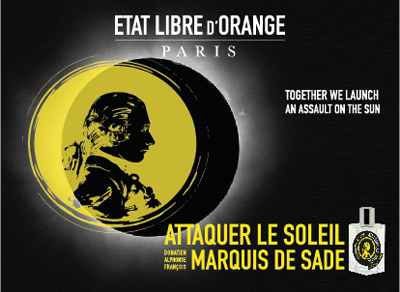 Etat Libre d’Orange presents a different kind of perfumery. Ambitious, liberated and audacious. Free to create. Free to love and be loved. Intelligent and whimsical, it is a perfumery that uses irony to hone the names of its fragrances. A perfumery that plays with ideas and reinvents the pleasures to be found in the sense of smell, through sublime, delicately composed juices that can only belong to the person who wears them. Juices that extend beyond the confines of perfume, to overcome the forbidden, to break the rules. To rebel.